During July 8-9 the 27th NATO Summit has taken place in the Polish capital of Warsaw. This location was were decades ago, in 1955, the infaimous response to NATO was formed, by the Communists countries under Soviet influence: The Warsaw Pact. Now it hosts one of the most important meetings of the North Atlantic Treaty Organization, in which agenda, a resurgent Russia and its destabilizing features in Eastern Europe, are hot topics. 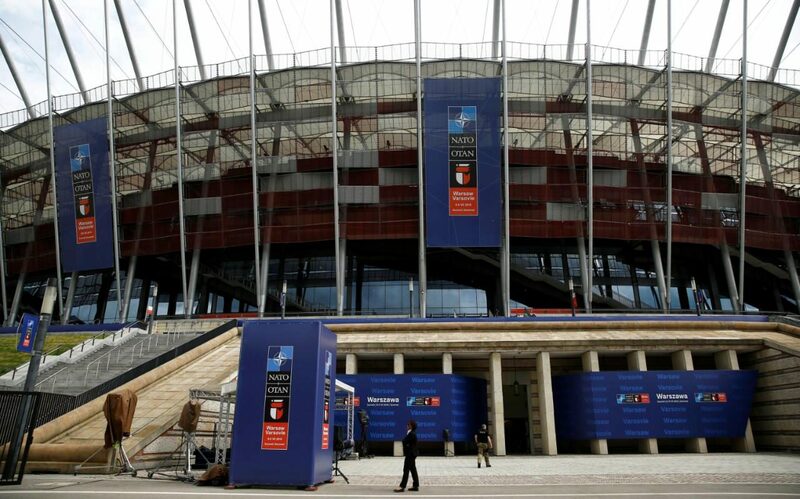 The Summit has literally taken place in one of the most modern sights in Poland, the National Arena, build for use during the Euro 2016 tournament. Poland has walked a long way to get to the current state of affairs, the country is modernized, up to date, the society is stable and the potential is rich. It is an example of how an ex-Soviet communist state could transition towards a democracy. Leaders from the 28 NATO members alongside partners such as Ukraine, Georgia and Azerbaijan have gathered to discuss a large variety of threats and how to respond to them. Strengthening the cooperation between NATO and European Union – EU by a Joint Declaration signed by Jean-Claude Juncker, Jens Stoltenberg and Donald Tusk. The formation of four battalions in Estonia (led by United Kingdom), Latvia (led by Canada), Lithuania (led by Germany) and Poland (led by the United States), with rotational troops, starting from next year. Transformation of a battalion from Romania into a multinational one for the South-East region, but probably formed by Romanian and Bulgarian troops only. US to deploy 1,000 U.S. Marine Corps infantry to Romania’s Black Sea Coast at the Mihail Kogalniceanu Air base. Enhancing cooperation with regional partners as Ukraine, Republica Moldova and Georgia (country). “This means that the US ships based in Spain, the radar in Turkey and the interceptor (Deveselu Base) from Romania will now be able to work under NATO command and control”, said Secretary General Jens Stoltenberg. Continue defense raise of defense expenditure as decided in the 2014 Wales summit. Will seek a constructive dialogue with Russia, furthermore, even a meeting in the NATO-Russia Council format. These decision were taken to deter the renewed Russian aggression in Europe, especially regarding the 2014 Crimean crisis, War in Donbass and the continue destabilization of Ukraine and other partners. “In the future, we will work on other areas as well – for instance to counter threats from improvised explosive devices and from hybrid warfare,” Secretary General, Jens Stoltenberg, also said. The Alliance (NATO) will participate in the US-led anti-ISIS Combined Joint Task Force – Operation Inherent Resolve (CJTF-IR) Coalition by allocating AWACS planes to monitor and gather intelligence. About the Airborne Warning and Control System (AWACS) as presented by a NATO SHAPE video. NATO will expand its training mission in Iraq from inside Jordan to Iraq itself by training, advising and overall, boosting the defense system against the terrorist network group. Allies have agreed to expand the Resolute Support Mission from Afghanistan through 2017 and most possibly beyond. The mission is active since the end of the ISAF mission and has a non-combat character, involving training, advising and assisting. The Afghan Police and Army will continue to receive funds through 2020. Cyberspace‬ has been named as an operational ‪security‬ environment of NATO. Therefor it will be included in article 3 as part of building resilience in order to combat hybrid threats. United Kingdom through David Cameron has set a July 18th vote in the Parliament to decide whether it will modernize its nuclear capacity: “Today I can announce that we’ll hold a parliamentary vote on July 18 to confirm members of parliaments’ support for the renewal of a full fleet of four nuclear submarines capable of providing around-the-clock cover,” Cameron told at the news conference. This shows that the UK will continue its commitment to European Security and that it underlines the importance of nuclear deterrence.